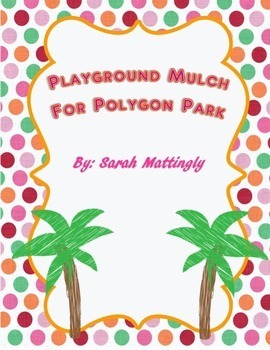 Playground Mulch for Polygon Park was designed for students to practice finding the area of multiple polygons in one activity. 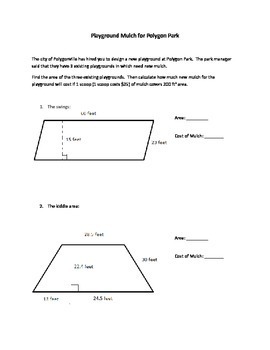 Also, students create an irregular polygon in which they must use composing or decomposing techniques to find the area of the whole polygon. 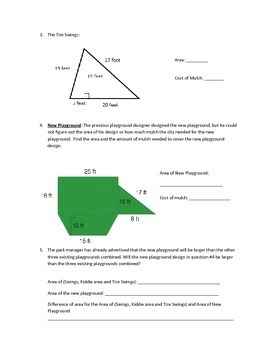 Students will be designing their own playground design while answering questions comparing areas of various polygons. Students are also asked to provide a description of their playground design. 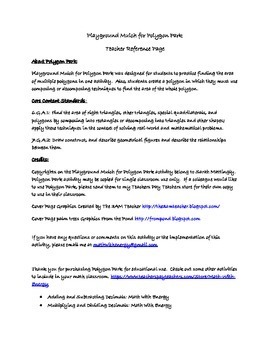 This activity aligns with Core Content Standard 6.G.A.1, but can easily be used with Core Content Standard 7.G.A.2. If you are interested in more great activities for your math classroom, click the green star in the top right corner to follow me at the Math with Energy store.